When I first moved to Thailand many years ago, there wasn’t much in the way to have a good laugh about. I’m not talking about the endless cultural fopars, meeting a girl called Poo, attending a Ping-Pong show for the first (and last) time or watching dysfunctional and alcoholic farrangs in expat dive bars. No, I’m talking about standup comedy clubs and a general scene of mirth and merry making performed by the professional traveling jokers and story tellers of this world. I missed the rich standup scene from back home in old Blighty! Thankfully, several years ago a fledgling comedy scene started to develop in Bangkok and has now grown into a number of weekly standup, open mic and improv comedy nights across the capital from Khaosan Road, to the The Royal Oak Pub being the main two venues to catch a comedy show at very reasonable prices. In 2017, this culminated into Bangkok’s 1st Comedy Fringe Festival and an influx of top flight comedy giants flying into Thailand, often for the first time. In recent months we have seen Gina Yashere, Phil Kaye, Jimmy Carr, Eddie Izzard, Joe Rooney and the comedian’s comedian Doug Stanhope in the City of Angels and beyond. It doesn’t stop there. April sees the mighty Bill Bailey on our white sand, sun kissed shores playing three gigs, Bangkok, Phuket and Pattaya as part of the 2018 Magners’ International Comedy Festival. 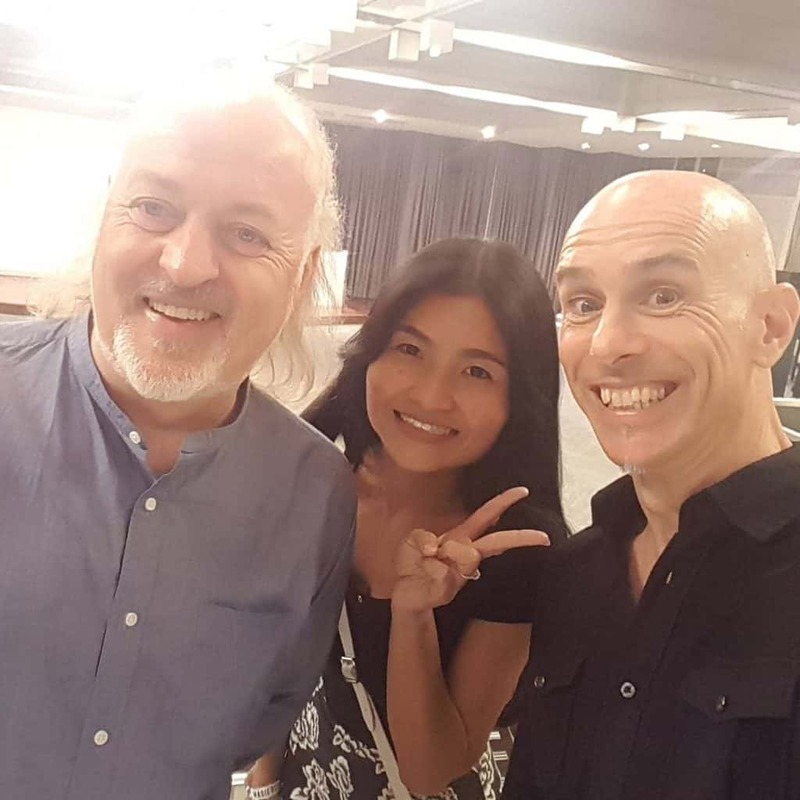 Bill Bailey will bring his ‘Larks in Transit‘ tour, signature musical virtuosity, surreal tangents and trademark intelligence of his unique show to Thailand for the first time in a professional career that has spanned more than 20 years. Millions have experienced his take on politics, philosophy and the pursuit of happiness, and now you can too and be back on the beach by noon, big smile on your face and a cocktail in hand! 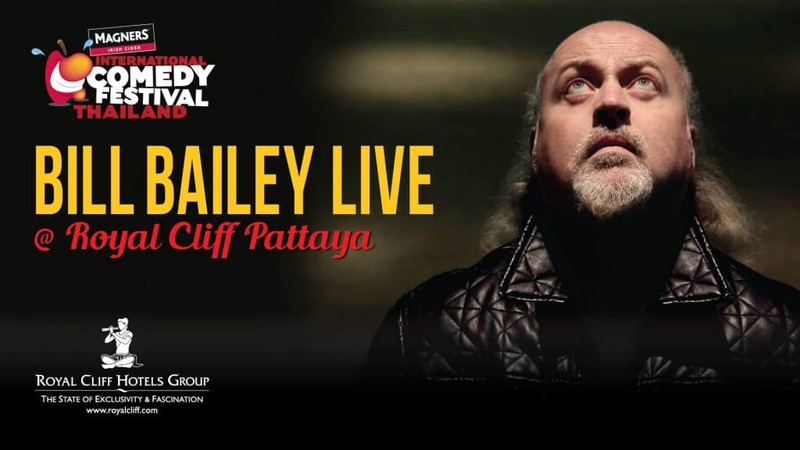 Take advantage of the special packages available to see Bill Bailey live on 7 April and stay at the Royal Cliff with Comedy Pattaya Packages here.